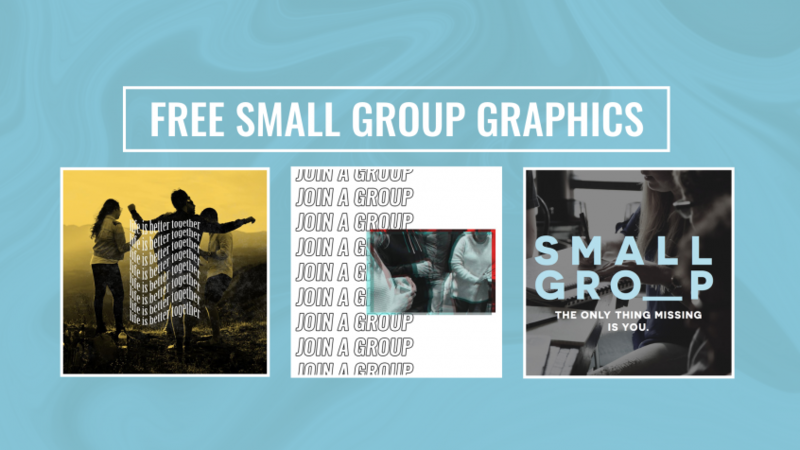 FREE SMALL GROUP GRAPHICS FOR YOUR CHURCH. We are firm believers in the big power of small groups. It is pivotal that you provide an easy way to invite people to join a group. Thus, we created two social share graphics to help you spread the word about group signups. These graphics are all yours to use — you can post them, change them, share them, or even print them on an ice cream cake. No credit needed. No watermark. No fine print. We do not care as long as you’re happy! Each folder has the social image in square format (for Facebook and Instagram) and vertical format (for Instagram stories). We even include the PSD files for all the over-achievers who want to make changes. We love giving away stuff! Let us know anything else you’d like us to make for you! Just click Request Custom Design and use promo code SUMMER0727. If you want something custom made for you, we will happily make you something for free.